Good day for the Patriots as we showed improvement all the way around. 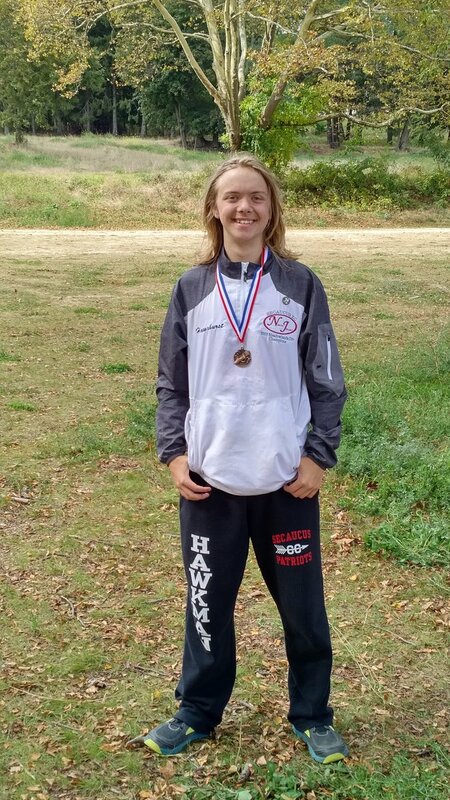 Congratulations are in order for Austin – medalist in the JV Division C Race. Also Congrats to Alexandra and Adam for being top individuals for our varsity squads. We are getting there, little steps at a time…. stay focused and remember that we are at the halfway point of the season. Every day matters now – every practice is precious. Let’s prepare ourselves for the next step.